Picture this: you blow a tire on your car and have to take it into the shop. The mechanic replaces your tire. Two days later, your car breaks down because the mechanic didn’t inspect it for other possible issues. Frustrating, right? Unfortunately, some doctors, because of their specialized focus, miss how all systems are doing. This means that their patient’s overall health may go unchecked—like the mechanic in the story above. A great mechanic would fix the immediate problem, conduct a brief inspection of the car’s health, and (as needed) fix it or offer suggestions for proper care while it’s in the shop. In short, that’s what holistic medicine can do for your health! What does holistic medicine mean? My practice offers acupuncture and other complementary treatments to heal the body. These therapies are becoming more common, with some 2016 Summer Olympics athletes like Michael Phelps seeking these treatment options. While western medicine has advanced treatments for healing the body, it only takes one grueling 5-hour trip to the emergency room to understand that the spirit can oftentimes be threatened as the body is being healed. It makes sense, then, that healing the mind and spirit starts with a meaningful patient-practitioner relationship. This relationship is fundamental in Eastern medicine practices and has been shown to have real, measurable results. But what do mind and spirit treatment options look like? In my practice, I provide lifestyle coaching for that purpose. Diet, exercise, and mindfulness are important facets of how you live your life. These lifestyle factors are linked with your health holistically, and improving even one can put you back on the right road towards better health. 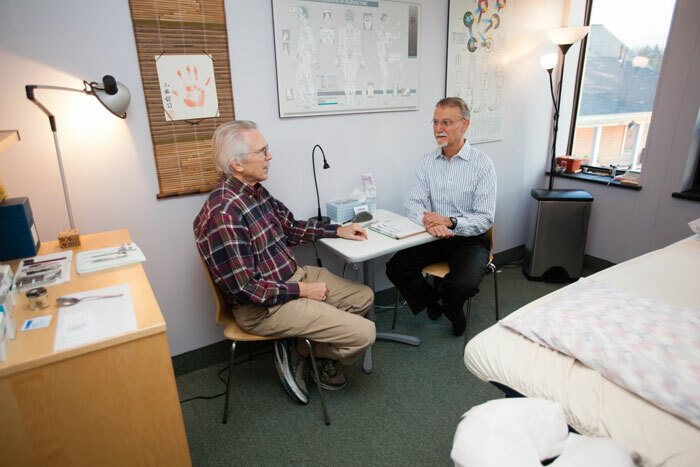 My practice focuses on addressing these three key aspects of health, and I employ multiple approaches to help my patients holistically. Periodic tune-ups offer an opportunity to check-in with yourself to insure that your systems are running well. As my patients know, that’s why I offer seasonal tune-ups. So, if you prefer optimal performance then you need to keep yourself well-tuned. On that note, if you think it’s time for a full-body tune-up, I’m your mechanic.